Underage Drinking | GUIDE, Inc.
GUIDE has used data-driven, evidence-based strategies since 1986 to reduce and prevent the use, misuse and abuse of alcohol, tobacco and other drugs by focusing on environmental strategies to achieve community-level change. GUIDE follows SAMHSA’s Strategic Prevention Framework (SPF) for all strategic planning. In addition, we utilize local, state and national data to drive our decision making and planning. GUIDE has focused significantly on reducing underage drinking since 2000 when we saw a substantial increase in teen drinking. Early on, we adopted the evidence-based program, Communities Mobilizing for Change on Alcohol (CMCA), and mobilized a community task force that implemented a number of critical environmental strategies. Below are our current underage drinking prevention initiatives. The Alcohol and Substance Abuse Prevention Project (ASAPP) is a substance abuse prevention initiative of The Georgia Department of Behavioral Health and Developmental Disabilities’ (DBHDD) Office of Behavioral Health Prevention (OBHP). Funding for this project is provided by the Substance Abuse and Mental Health Services Administration’s (SAMHSA) Mental Health Block Grant. ASAPP grew out of the Alcohol Prevention Project (APP), which ran from 2011 to 2016. Secondary Goal: Reduce the early onset of alcohol use among youth (9- to 20-year-olds). To address the primary goal of reducing access to alcohol and binge drinking among youth, environmental strategies aim to reduce retail and social availability. Strategies to reduce retail availability include conducting compliance checks in partnership with local police departments in unincorporated Gwinnett County and six local cities, as well as distributing materials to alcohol retailers to encourage checking age identification. Strategies to reduce social availability include developing and airing PSAs on TVgwinnett, the Motor Vehicle Network at the Lawrenceville DMV and on La Vida Radio. Public awareness campaigns such as Parents Are the Key and Save Brains, as well as adult Positive Social Norms campaigns, are being implemented. GUIDE also provides Prevention Trainings throughout the year. To address the secondary goal of reducing the early onset of alcohol use among youth, the individual strategy to reduce social availability being implemented is providing the Alcohol: True Stories Hosted by Matt Damon multi-media program for youth in grades 5-12. The “STOP Underage Drinking in Gwinnett” project expands on prevention strategies initiated by the Gwinnett Coalition for Health and Human Services through their Drug Free Communities grant. Services focus on reducing social and retail access to alcohol by youth, promote the norm that underage drinking is unacceptable and provide opportunities for youth to be actively engaged in leadership and service in their communities. The STOP Act program builds on successful collaborations and evidence-based strategies that reduce underage drinking. Services target two highly diverse communities representing 85 nationalities and over 115 languages spoken by residents. To increase the percentage of Gwinnett County youth in grades 9 thru 12 who report their parents think it would be very wrong for them to drink alcohol from 73% to 80%. 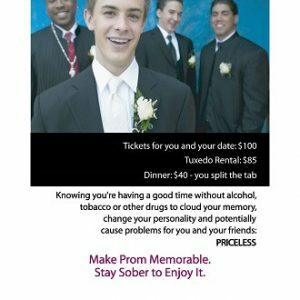 Strategies include law enforcement compliance checks to prevent the sale of alcohol to minors and prevention campaigns educating parents and other adults about the health risks and consequences inherent in adolescent alcohol use.